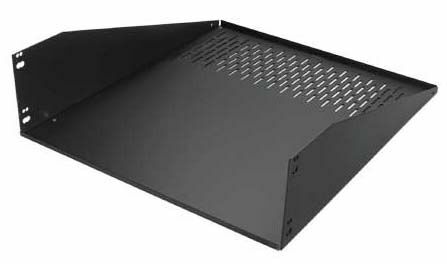 More on the Chief Raxxess Extra-Wide Rack Shelf WDS3 below. The WDS extra-wide shelf is intended for use with components wider than the standard 17-3/8" inside rack measurement. It occupies three rack spaces, holds up to 80 pounds and mounts to the 1.5" rack rail mounting interface or inner mill-work. *Please choose between 14 and 17" depths.